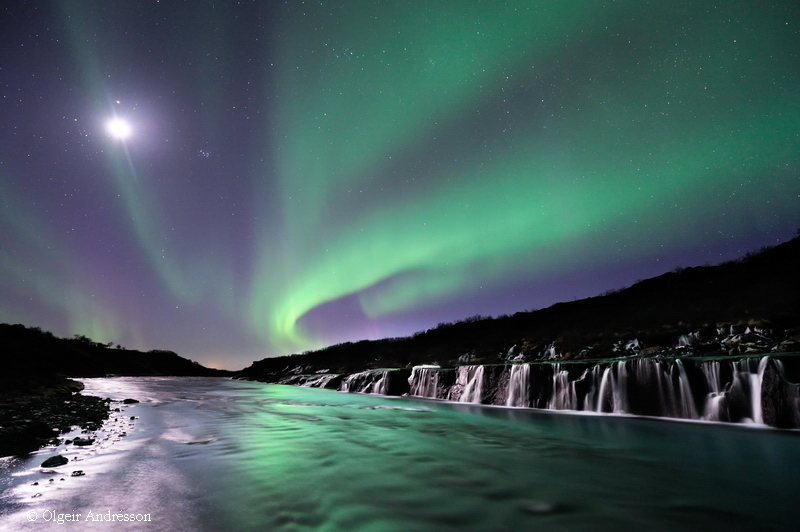 Overload your senses on this Northern Lights short break in Iceland. 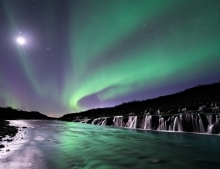 Travelling as part of a group, you'll uncover the highlights of Reykjavik, the Golden Circle and the fabulous West coast during the six day holiday. 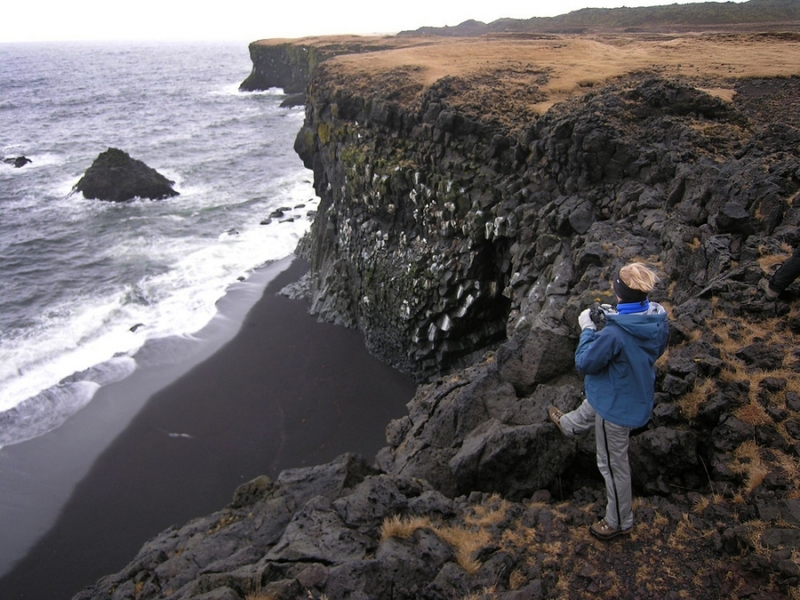 You'll explore the Snaefellsnes Peninsula famous for its mystical glacier and ties to the ancient Sagas. You'll discover first-hand local delicacies such as homemade 'skyr' yogurt and freshly caught seafood on board an ocean sail. Meet the unique Icelandic Horse and marvel at their skill during a live performance of "The Legends of Sleipnir". Each day will bring the opportunity to hunt for the Aurora Borealis and to relax in hot springs and to feel the energy that is Iceland. Arrival to Keflavik International Airport. You may arrive any time during the day. A shuttle bus airport transfer is included in the price of the trip. Enjoy the rest of the day at leisure to explore the city with our recommendations. Overnight in Reykjavík at Icelandair Hotel Natura. Today's journey begins with a city tour of Reykjavik taking in the main sights of Iceland's capital. You'll visit the stunning Harpa Concert Hall and Parliament building on the busy Austurvollur Square. Enjoy panoramic views from the city’s main landmark, Hallgrimskirkja church. 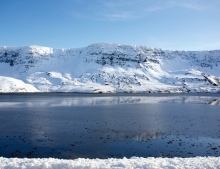 After experiencing the old and the new in Reykjavik, the tour continues away from the city by coach travelling northwest through Havlfjordur to the town of Akranes. 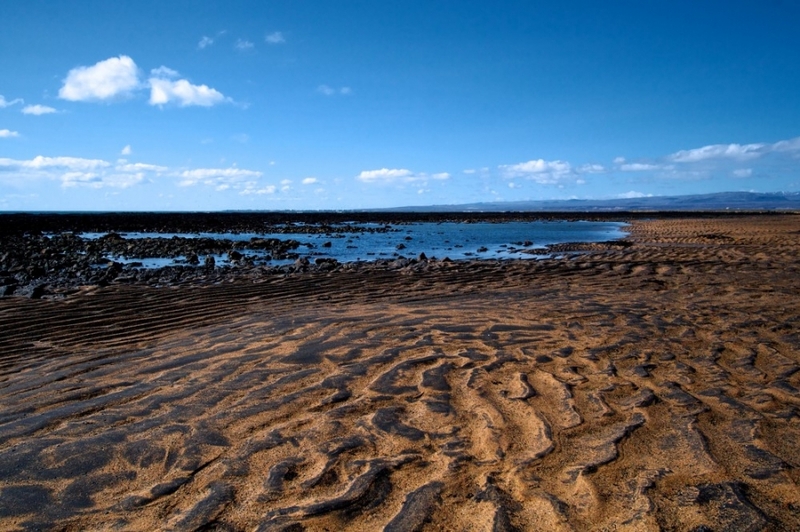 Here you'll visit a local museum to uncover some of the region's geologic and maritime secrets before climbing to the top of the lighthourse to enjoy spectacular views of the wild coastline. You'll then experience an insight into Iceland's folklore with a visit to Fossatun Troll Gardens where you'll follow a short trail dotted with statues, waterfalls and folk tales. Onwards to the hot springs at Deildartunguhver, Europe's most powerful hot spring which provides heating for many of the homes and businesses in the area. 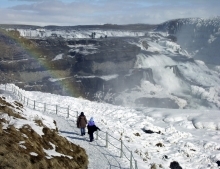 Your penultimate stop for the day will be in Reykholt which is the home of renowned Icelandic Saga writer and medieval scholar Snorri Sturluson before ending with a scenic visit to a duo of exceptionally beautiful and unique waterfalls at Hraunfoss and Barnafoss which each have a mysterious secret to reveal. 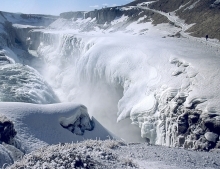 You'll stay overnight at Icelandair Hotel Hamar in Borgarnes where you can relax in the hot tub powered by the hot spring water from Deildartunguhver. In the evening you can join a hunt for the Northern Lights, away from the light pollution of the city. Overnight at Icelandair Hotel Hamar in Borgarnes. Today's adventure begins with a visit to the town of Stykkisholmur to embark on an adventurous trip by boat in Breidafjordur Bay. Here you'll encounter thousands of tiny islands and experience “Viking Sushi”, a taster plate of sea scallops, urchin, and crab drawn onto the boat straight from the refreshing Icelandic waters. Continuing along the rugged coastline of Snaefellsnes Peninsula you'll encounter tiny fishing villages, each with its own unique character. 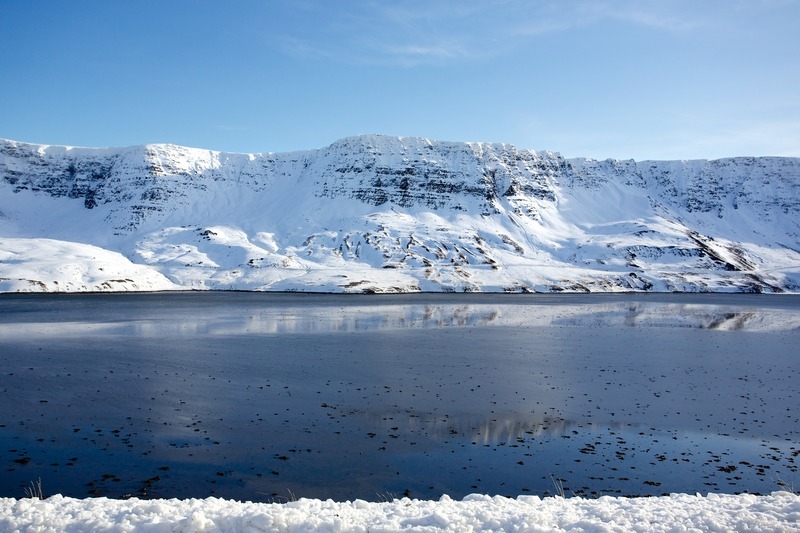 You'll experience fjords that are home to orca whales and the village of Grundarfjordur with the landmark Kirkjefell Mountain as its backdrop. 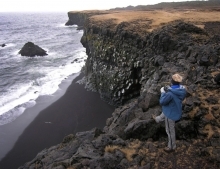 See the picturesque harbour village of Arnarstapi and walk among the columnar basalt rock formation and cliffs, swarming with colonies of seabirds. Throughout the day you'll enjoy the remote tranquility of Snaefellsnes National Park which is home to an astonishing variety of natural landscapes from moss blanketed lava fields and pebbled beaches to imposing cliffs and the palpable force of Snaefellsjokull glacier-volcano which last erupted in 250 AD. 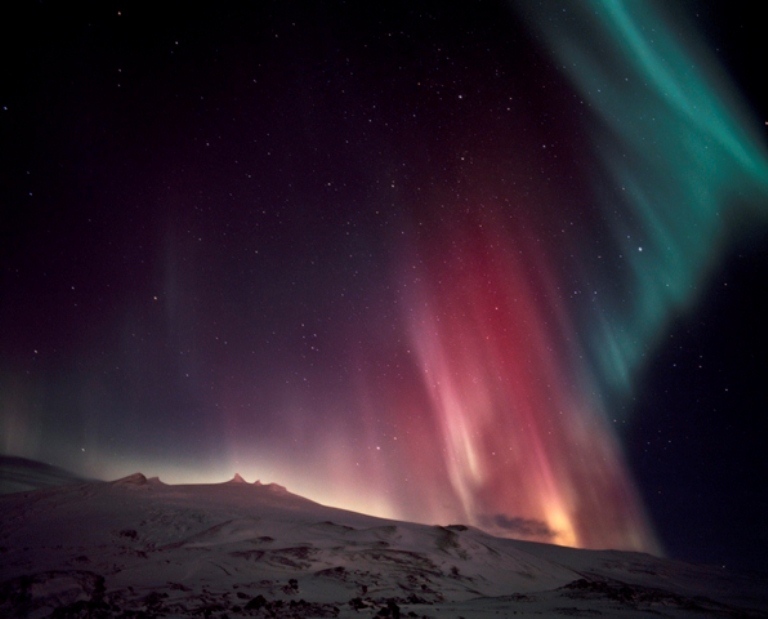 In the evening, it's time again to hunt for the Northern Lights. Overnight at Icelandair Hotel Hamar in Borgarnes. 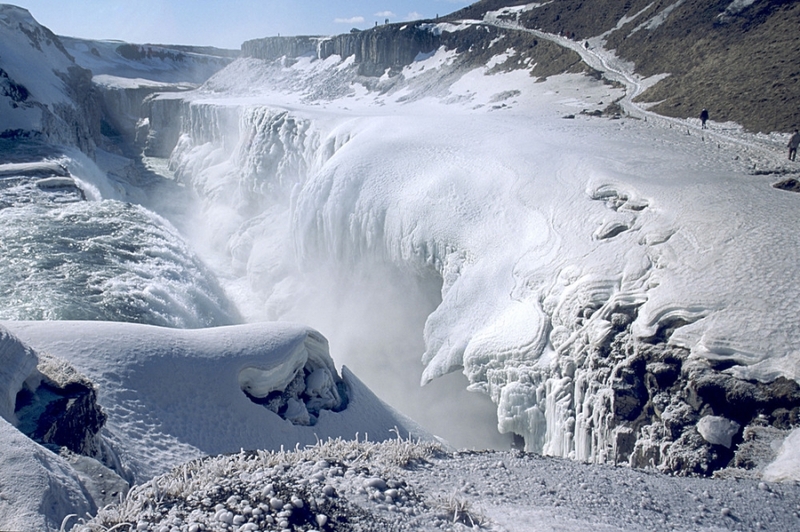 Iceland’s Golden Circle showcases a trio of celebrated natural attractions including the dramatic Gullfoss waterfall and the geothermal fields of Geysir Hot Spring Area alive with boiling mud pits, steam vents, and exploding geysers. Its centerpiece is Thingvellir National Park (a UNESCO site), where Viking settlers established an assembly in AD 930 which has evolved into the world’s oldest parliament today. Thingvellir is also a geological masterpiece, as it marks the visible site of the mid-Atlantic Ridge where the North American and Eurasian continental plates meet. Along the route through fertile countryside you'll slow down to enjoy some local flavours at Efstidalur dairy farm which specialises in homemade skyr, an organic, hormone-free Greek-style yogurt that has been enjoyed as a breakfast staple and dessert treat in Iceland since Viking Saga times. Your journey continues to Hveragerdi, the charming gateway town to South Iceland set in a highly active geothermal area where pillars of steam rise up from the ground all year round. Hveragerdi has the highest concentration of greenhouses in Iceland where residents provide the country with much of its home grown produce, including exotic varieties like papayas and bananas. In the evenings the greenhouses are lit up giving the town of Hveragerdi a distinctive glow. In the evening you will meet the fascinating Icelandic Viking Horse at Fakasel stables. 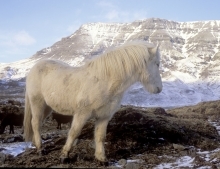 Horses arrived with the Vikings in the 9th century and have been used as transport in Iceland ever since. Without them, early settlement on this barren, harsh land would have been practically impossible. 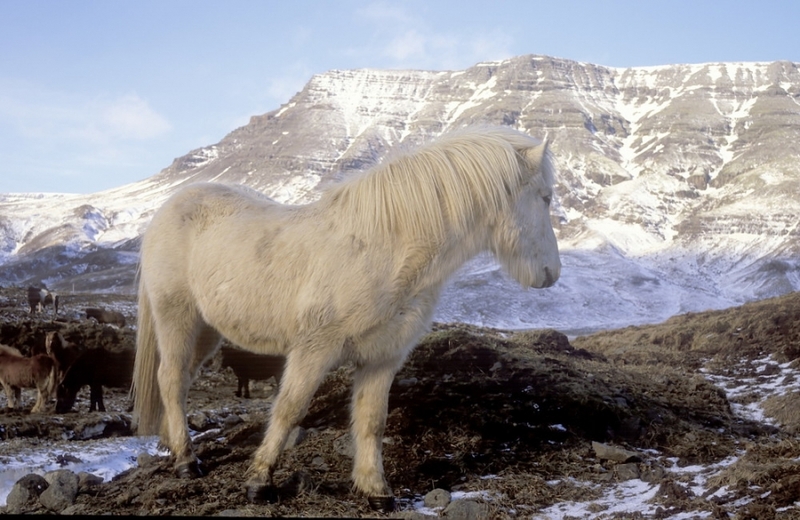 Today, more than ten centuries later, Icelandic horses are still esteemed and attributed mythical names. Their story will be shown to you in a 45 mintue live production in the Horse Theatre. Overnight at Hotel Örk in Hveragerdi. Travelling along the breathtaking coastline of the Reykjanes Peninsula, today you'll visit Strandarkirkja, a small wooden church popularly believed to radiate special powers for increased luck and success. Although the church is typical of rural Iceland, it is built right into the coast with amazing views of the turbulent ocean meeting with volcanic rocks and black sands. Look for a quaint set of painted elf houses nestled in the churchyard grounds. Next you'll drive to Lake Kleifarvatn, set in fascinating, stark, moon-like surroundings. Near the lake’s southern end lies Krýsuvík, where powerful jets of steam escape from deep below the earth’s crust and sulphurous steam rises from numerous geothermal vents. 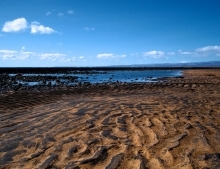 You can see small hot springs, mud pots, boiling pools and other types of geothermal activity. Continue under low mountains along the shoreline to stop by craggy cliffs rising sheer from the sea. Proceed to the town of Grindavík with its sizeable fishing fleet. After a lunch stop you will visit the world-renowned Blue Lagoon geothermal spa set in a black lava field filled with pleasantly warm mineral-rich seawater. The Lagoon provides the ultimate interaction and relaxation with Iceland’s raw nature. A dip in the lagoon is not included but optional. Guests with optional bathing access can enjoy a sauna with lagoon views, a cozy steam-bath carved into a lava cave, and a warmflowing waterfall which provides an energizing massage. Be on the lookout for white buckets located throughout the lagoon which contain the famous silica-mud, an essential part of the spa experience. 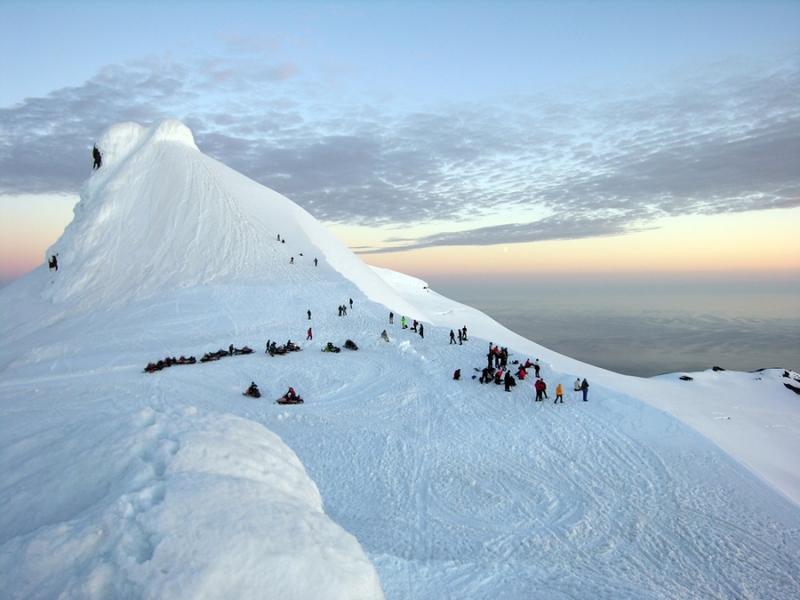 Onwards to Reykjavík where you will spend your final night at the Icelandair Hotel Natura. Today is your departure from Iceland where depending on your flight departure time you could enjoy your last few hours in this vibrant city. If you wish you can extend your stay in Reykjavik with additional nights. From £945 per person (based on two travelling) excluding flights. From £1075 per person (single traveller/room) excluding flights.